Would you like to add warmth to your home with your window treatments? 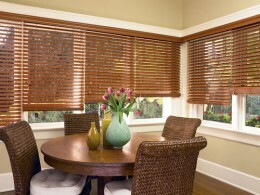 You can do it with the wood and faux wooden slat window blinds from Boca Blinds. For more than 40 years now, we have been customizing wood and faux wooden window blinds for our customers and installing them in their homes. 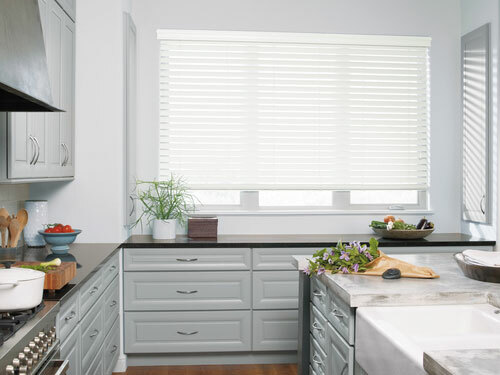 Whether you want wood blinds made from real hardwood to match the traditional decor in your home or faux wooden blinds that will deliver the look of wood at a fraction of the cost, Boca Blinds has something in stock for you in our showroom. 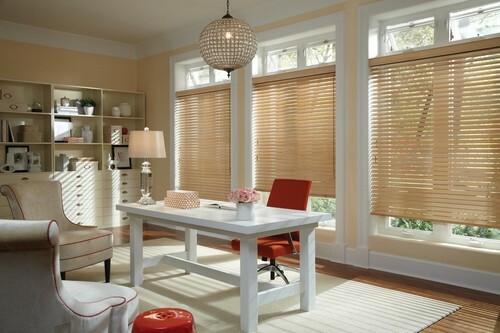 Wood blinds have a traditional styling that compliment the lines of any room. Available in a variety of finishes, slat sizes, upgrades, decorative tapes and specialty shapes for optimal customization. 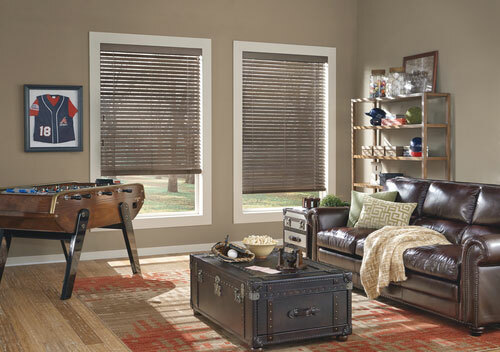 The interior wooden slat window blinds available through Boca Blinds feature a traditional styling that will work well with the lines in any room in your home. You can choose from a variety of finishes, slat sizes, decorative tapes, and more when you customize them directly through us. 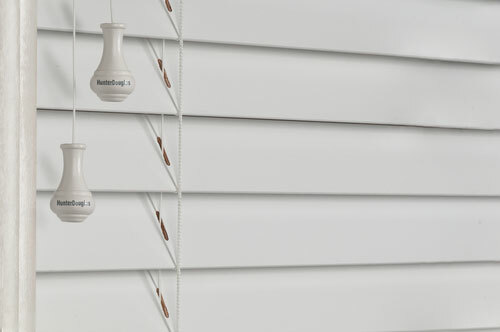 Wooden window blinds will look amazing once they’re in place, and they’ll prove to be plenty durable over the years. They’re also easy to maintain and can offer up an unmatched protection to your window frames and glass. 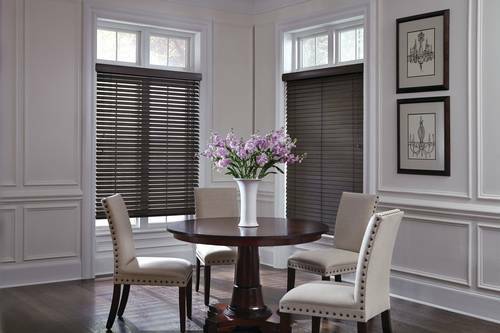 Faux wood blinds have the luxurious look of wood blinds, yet ideal for areas with high humidity, extreme temperatures and direct sunlight. 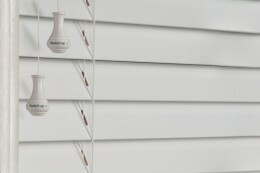 From a distance, you won’t be able to tell that the interior faux wood window blinds from Boca Blinds aren’t made out of real wood. 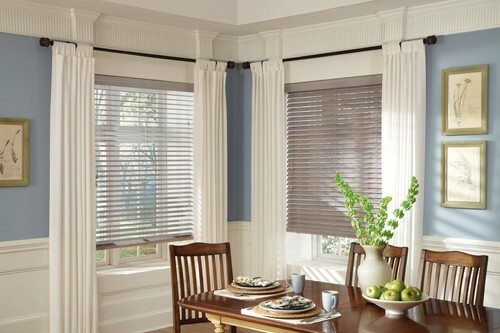 They look just like the luxurious wood blinds found at Boca Blinds. But they’re a more affordable option for South Florida homeowners, and they’re ideal for those with homes that are prone to higher humidity levels and extreme temperatures. They’ll also stand up to direct sunlight without fading or showing any signs of wear and tear. Let Boca Blinds help you choose the right wood or faux wooden slat window blinds for your home. Check out your options in our showroom or contact us today to find out more about your options.